I knew of [co-editor] Diane and her work through a previous blog I wrote for. When I saw that the call for contributions had just been closed, I contacted Diane anyways—I knew this was something I wanted to be a part of. Thankfully, Diane allowed me a little grace and I got my submission in just in time! 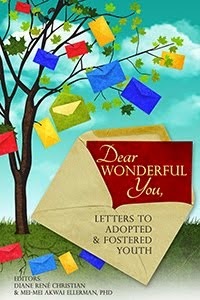 Starting in 2013, I started receiving a series of letters that completely changed my life. I suppose the first of that series would have to get credit for having the most impact. It was my Korean cousin, contacting me for the first time on behalf of my omma, or Korean mother. After we confirmed our relationship by DNA testing, the flood of letters opened between my omma, Korean sister, brother, cousins, so much family that had been looking for me for over 30 years. It was overwhelming, to say the least. I learned their tragic story and realized just how significant every person is, even just a young child—or maybe especially a young child. It made me realize how profoundly my absence had affected so many people, and how deeply their absence had always affected me. Beyonce – Flawless. There’s really never a bad time to listen to that one. No way. All of them. Well, one of my all-time favorite books is Matterhorn by Karl Marlantes so I’d have to say LT Mellas. He’s gritty and flawed, he makes mistakes, he’s just a child responsible for the lives of other children in the Vietnam War. But he’s smart, he cares about people, he has great instincts, and he does the very best he can. He’s heroic not just for his actions in battle (which incidentally mirror those of the author’s), but for the everyday ways he makes a difference in the lives of his Marines. Even in the most horrific of situations, even in war, we can learn from him that it’s okay to be scared, uncertain, and flawed— and that we still can make a difference. Hot brownie fudge sundae. I’m not fancy. Not at all. I’d describe myself as logical and intuitive… which leaves little room to bother with superstition. I’ve got these fantastic Bose noise-cancelling headphones. When I put music on those—any kind of music—I am in another world. I can write for hours. coffee, then water. Tons of water. I think I have a phobia of being dehydrated. Tell us about your life now. What are you working on? Life is Busy. Work, family, grad school, and a book in the final stages of the publishing process. Title is— Ghost of Sangju. Find a preview at We are a Gazillion Strong. 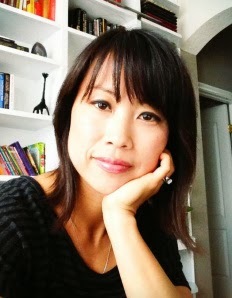 I’ll post updates on my Facebook page and at www.soojungjo.com. Fun interview!